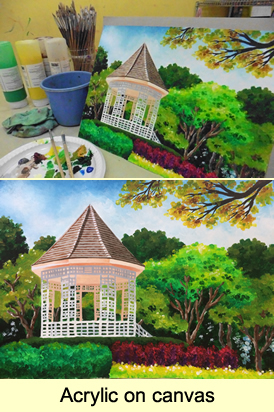 We offer regular children art classes and adult art classes. Our children art classes are fun and innovative. Children in our art classes expand artistic skills and hence, enhance creativity. Kids will be in for continuous surprises as each lesson is a new art experience. 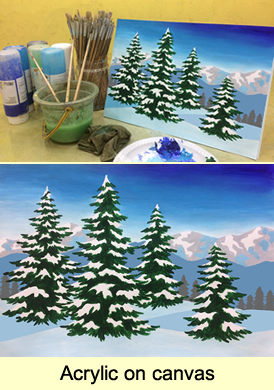 Our adult classes / art jams aim to serve as social platforms for adults to unwind, chill out and share appreciation for art with loved ones and fellow art enthusiasts. 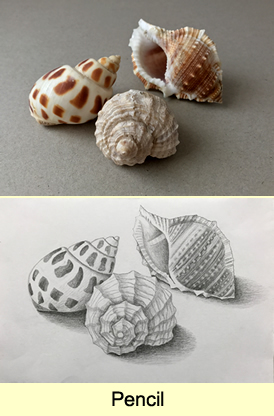 At My Art Pencil, we believe that drawing is not a gift but a skill that can be acquired. Learning through art is vital to the development of the minds. With the current focus on verbal and numerical skills (left brain), art provides an avenue for us to nurture our intuitive and creative skills (right brain), hence, attain whole brain learning. Kids programme - We respect that every child is unique and learns at a different pace. While striving to provide a comprehensive curriculum, we also recognise that cultivating passion for art and freedom of expression are equally important. Hence, we design our programme as such where children are given room to exercise their imagination as they learn new drawing skills. Each child receives personalised attention and makes progress in a non-competitive yet stimulating environment. Adult programme - Well aware that adults are always on a tight and fast schedule in our hectic society, we want to give them the best place to find peace and relieve stress while making full use of the time bonding with family and acquiring a new interest. We understand that young children are fascinated by every mark they make, colour they mix and form they create. Hence, lessons are conducted in an interesting and motivating manner that not only stimulate creativity, but also appease curiosity in young children. For instance, children get to use non traditional art tools like their bare hands and unconventional choice of colours to draw / paint. Children are encouraged to draw and paint independently with the use of various drawing / painting media such as pastel, watercolour, ready-mix paint, acrylic, ink and pencil. They will also learn to draw / paint on different art bases namely paper with different surfaces / colour, canvas, cardboard, wood and fabric. 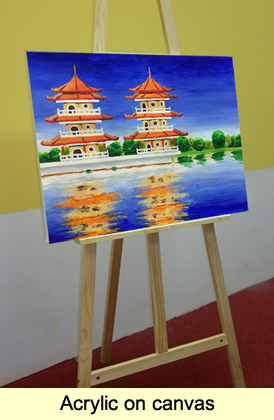 They will be taught the basics of some art techniques such as brush drawing, pencil shading, monochromatic painting, pointillism etc. (see samples). Subjects are introduced to the kids in the form of story-telling, drawing demonstration and visual presentation. Suitable for children age 3 - 4 years & 5 - 6 years respectively. Older kids enjoy details, complexity and realism in their artwork. 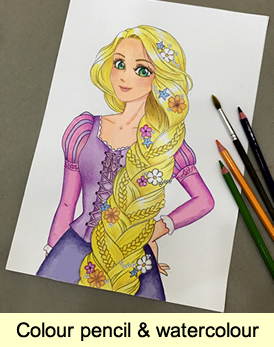 This programme offers more challenging drawing techniques and more room for imagination that will sharpen visual skills of children and enhance their artistic confidence. Children will learn to draw through discerning shapes, sizes, space, distance and proportion. 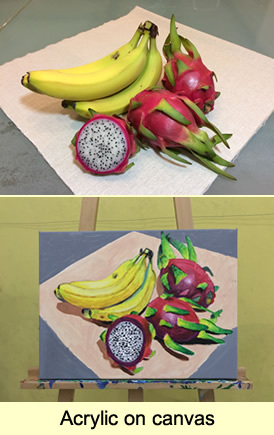 They will be taught the colour theory, colour scheme, light / shadow, blending / shading techniques, brush drawing, monochromatic painting, pointillism etc. (see samples). Students will also learn the application of a wide range of drawing / painting media (pastel, watercolour, ready-mix paint, acrylic, ink, and pencil) on various art bases (paper with different surfaces / colour, canvas, cardboard, wood and fabric) to create artworks of distinct effects. 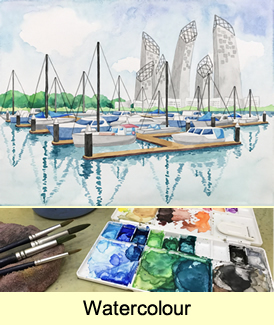 Junior II students, who plan to prepare their 2D art portfolio for the visual art audition / interview to School Of The Arts Singapore / art niche secondary schools via Direct School Admission, may join our Adult Art programme for art skills training. Suitable for children age 7 years, 8 - 10 years, & 11 - 12 years respectively. 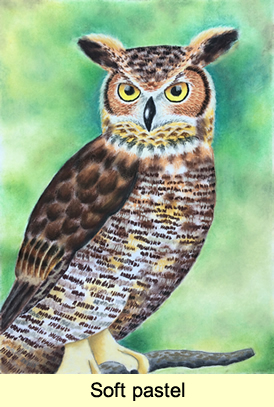 Most adults have the misconception that they have no talent in art and there is no point attending art classes. But the fact is: anyone can draw if proper guidance is given. If you would recollect your childhood days, you may recall, at some point then, that you had done some drawing quite to your satisfaction, that you drew pretty confidently or that you used to enjoy art. Somehow over the years, you grew to adhere to consensus of beauty and lost confidence in art. In hope of finding back the pleasure people used to derive from art, we started this programme. Our objective is not to help people produce awesome paintings, but to drive home the message that art is for everyone, art is indulgence, art is therapeutic and every painter's work is beautiful. This is a guided beginners class for adult / teen / senior art enthusiasts, with or without experience in drawing and painting. 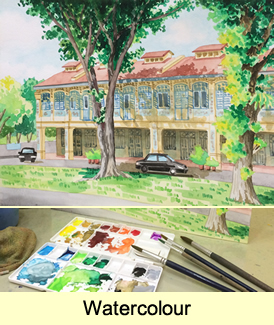 Participants will learn proportion & perspective drawing. 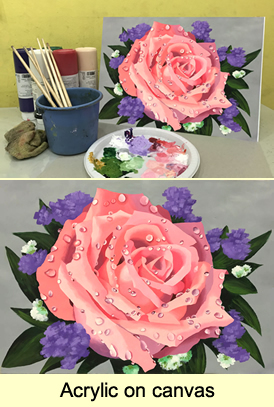 Techniques of painting and shading (e.g. layering of watercolour washes, blending, colour mixing, acrylic brush stroke, pencil hatching etc.) will be taught. Suitable for adults, teens and senior citizens age 13 years and above.